Peapod was already known in New York for its sharp brand voice. Colossal built on that strong foundation, adding a healthy dose of wry humor. 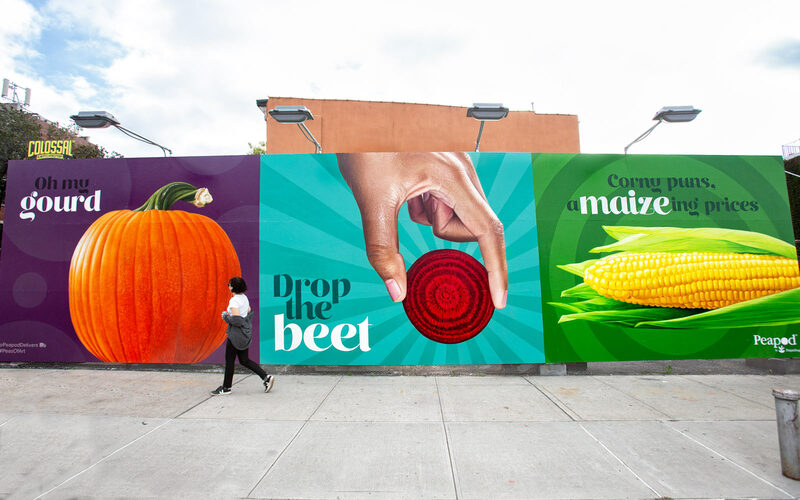 We set the new copy alongside punchy colors and larger-than-life vegetables. The result was fresh — more art than ad — and perfect for Millennial Instagram feeds. Colossal designed artwork for two murals. Over the course of one week, two teams of three painters brought six giant veggies to life. The first mural targeted young families. We wrote short and simple puns for local parents to read to their children. We paired each with bright, accessible veggies, like pumpkin and corn — fun and familiar shapes for kids. In the second mural, we tailored our puns for a slightly different audience — Millennials without kids. Sentences were long, word choice was bold, and turns of phrase were tricky and playful. The vegetable pairings (mushroom, kale, and radicchio) favored a more advanced palate. Colossal produced a video for Peapod’s Instagram Stories to help the brand get the word out. 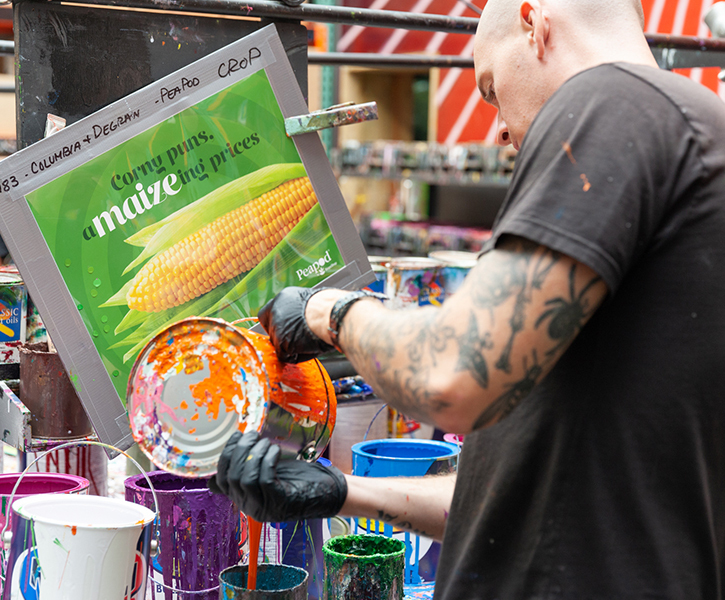 The video revealed the colorful production process behind the scenes of the mural before encouraging followers to get out and Instagram the #PeasOfArt.